Blog Archives - The Law Offices Of Eric L. Nesbitt, P.C. Even the most amicable divorce can be an emotionally trying experience. A once happily married couple now finds themselves at odds and enduring the difficult task of dividing up their once shared property. Suppose the parties agree to an arrangement to divide the property, per the divorce settlement. Say the parties own real property and suppose that property is in the husband’s name. Per the judgment of divorce, the husband must convey title to the real estate to his soon to be ex-wife. The easiest way to accomplish this is by the husband granting the wife the real property via a quitclaim deed. The philosophy of a quitclaim deed is that the grantor of the real property “quits” his or her claim to the property, thereby allowing another party to take the property via a transfer. A quitclaim deed requires that the grantor signs it and states a grantee. A notary must notarize the deed. There is no need for the grantee to sign the deed. Once accomplished, the deed is valid. The grantee can then provide the fully executed deed to the county clerk and recorder where the property is located to record the real estate as property of the grantee. Suppose a piece of real property is in the name of the husband and wife and the husband agrees to transfer the property to the wife. A husband can simply provide her with a quitclaim deed that he no longer has interest in the property. This is quick and easy and allows for a smoother transition. Similarly, suppose two people marry. As one unit, they want to have joint ownership of their property. To that end, each one can devise his or her personal real property to the other for joint ownership via a quitclaim deed to the new spouse. Quitclaim deeds can be relevant in tenancy in common and not as relevant for joint tenancy. A tenancy in common is where people, say a husband and wife, own a property. It can be that each enjoys full and equal use of the property despite one party actually owning a larger piece of that property. Upon the death of one party, the interest of that person will go to that person’s heirs. A quitclaim deed prior to death can help for a smooth and easy transition to the surviving spouse. By contrast, a joint tenancy means that upon the death of one spouse, the other spouse automatically owns the entire property. In Colorado, a tenancy in common is assumed unless the parties stipulate that the property is owned in joint tenancy. Colorado law requires that those who devise a property via quitclaim deed valued at $500 or more attach a form TD-1000 to the quitclaim deed when submitting to the county clerk. A TD-1000 is a Real Property Transfer Declaration. This document is used by the Tax assessor, who determines taxes in part based on property value. For questions about quitclaim deeds or other real estate legal needs in Colorado, contact the Law Offices of Eric L. Nesbitt, P.C. at 303-741-2354 or Info@NesbittLawOffices.com. The Colorado real estate market is hot. Prices are soaring, even in areas that were “left for dead.” In such a hot market, it is common to have a contract with a second buyer that is contingent on the deal falling apart with a first buyer called a backup contract. That is to say, a seller will negotiate the sale of his or her home with buyer #1, the primary buyer. In the contract, it will target a closing date with that buyer. At the same time, the seller will negotiate a contract for sale of the same property with buyer #2, the backup buyer. The contract will state that in the event the sale with buyer #1 fails, buyer #2 will then be in contract for the purchase of the property. In “normal” markets, such a circumstance is unlikely to occur; in a hot market where demand far outstrips supply, such a circumstance is more likely. There are circumstances wherein a seller will negotiate multiple backup contracts with various buyers. Later offers from potential buyers would be in order of when those backup buyers signed backup contracts. In 2001, an issue before Colorado courts was when the seller and buyer #1 extended the closing date. In the meantime, buyer #2, who signed a backup contingent contract, claimed that because the deal was not consummated by the date in the contract, which was the term of the contract between the seller and buyer #1, he is therefore placed into the first position. This is the case of Sandstone Investments v. Edward Williams. In that case, the Colorado Appeals Court ruled that, based on the language of the contract, the seller agreed to a contract with buyer #2 if the sale was not “consummated” by the closing date. As such, buyer #1 took first position and the seller was now obligated to sell the property to buyer #2. Buyer #2 may believe that he or she will be next in line in the event that the deal fails, which is a common occurrence. In reality, however, negotiating a backup contract will increase the likelihood that buyer #1 closes the deal with the seller. By negotiating a backup real estate sales contract, buyer #2 is sending the message that there is no comparable property on the market to the property being negotiated. As a result, for reasons that a buyer may pull out of a contract, e.g. price too high, better property elsewhere, better neighborhood elsewhere, buyer #1 is less likely to believe that a better deal exists. In addition, if the issue is air conditioning problems or similar infrastructure issues, buyer #1 is less likely to pull out if he or she knows that others want it. Without a backup, buyer #1 would not clinch the deal; now, with others wanting the same property, buyer #1 is more likely to forgo these issues. Colorado real estate is red hot. You need an attorney who knows the law and knows the market. For questions about property rights or other real estate legal needs in Colorado, contact the Law Offices of Eric L. Nesbitt, P.C. at 303-741-2354 or Info@NesbittLawOffices.com. According to reports, part of why the city of Houston has been so devastated in the wake of Hurricane Harvey is because of the discrepancy between the city’s depression-era water and flood system and its modern-day buildings. While the city of Houston, with its large population, aggressively sought to be ranked as a premiere city, its infrastructure was less than premiere, according to those reports. Instead of areas of wetlands absorbing much of the water, those areas are now covered in concrete and are unable to absorb any water. 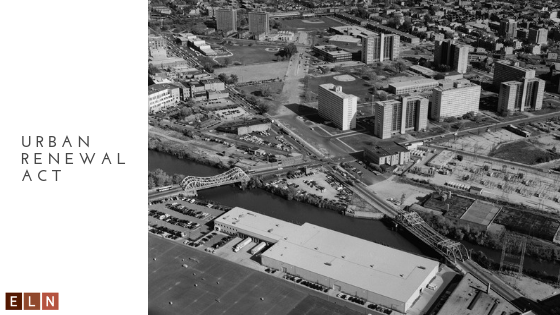 As developers planned buildings and traffic patterns, they did not plan for drainage. When planning a community or a city, thought must be given to wetlands and open space. Those planning can employ transferable development rights, or TDRs. As mentioned in the first article, TDRs are sellable rights wherein a landowner who owns a right to develop on a property, called a sending area, can sell that right to another landowner who can use those rights, called a landing area. This commonly occurs in an area that discourages development so the landowner can profit from the sale of the TDR while the buyer can develop in an area that encourages such development. 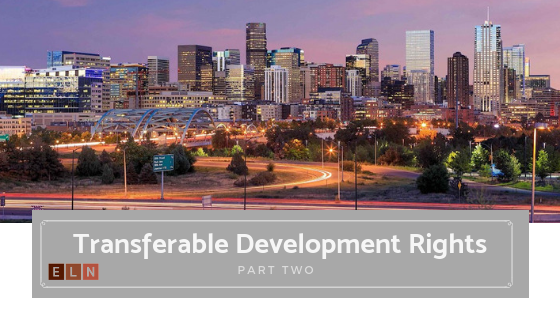 Under a TDR transaction, both the buyer and seller retain title to their respective properties; it is the developmental rights that are transferred. Often, developers who seek to build in areas encouraging high-density face opposition from the locals, who point to local zoning laws that do not permit such building. In truth, TDRs are a powerful tool to further preservation of wetlands and agricultural areas while providing services in high-density areas. When this occurs, it is often the job of the attorney representing the developer to explain this concept to those in the opposition. TDRs are not meant to circumvent existing zoning laws; instead, they are used as part of a plan to properly allocate space. When planning, the parties should be careful not to undermine the purpose of a TDR program. Sometimes, a zoning board, in its zeal to see the success of the plan, will upzone, or grant rights beyond the zoning ordinances, to the developers. While it may score points for a specific project, upzoning undermines the TDR program because it ignores that right. As mentioned, TDRs, unlike specific zoning ordinances, can be used to allocate open space and density. By maintaining the developmental right by the selling area and not transferring it to the landing area, the selling area is at risk of being developed. Pitkin County, Colorado has a TDR program that developers use constantly. Under the baseline in some areas, residential homes must be at least 5,750 square feet of floor space. However, such floor space can be transferred in increments of 2,500 square feet of floor space. In Houston, Texas, it seems that developers never instituted a comprehensive TDR program, where developers would purchase TDRs of a wetlands and use that to build elsewhere while leaving the wetlands intact. For questions about transferrable development rights or other real estate legal needs in Colorado, contact the Law Offices of Eric L. Nesbitt, P.C. at 303-741-2354. The tort of slander of title, codified under the Colorado Code, takes on many forms. It can be similar to libel in that it someone defames property that leads to some sort of damage. In addition to basic libel, the tort of slander of title includes various claims against a property that are untrue. These claims can range from improper representation of ownership to other claims, which will be discussed in this article. Damages are generally pecuniary in nature and is evaluated based on damaged suffered, though it is sometimes difficult to assess. Suppose a seller puts his house up for sale because the seller is having difficulty with some of the neighbors. Prospective buyers come to view the property and make inquiries with the neighbors about the house. Some of the neighbors tell prospective buyers about several problems with the house or property that are false because they want to hurt the seller. This causes potential buyers to not bid or make low bids on the house. Eventually, the seller feels compelled to sell the house at a significantly lower price than the asking price. Upon discovery that the neighbors disparaged the house and caused him damage, the seller can sue those who made untrue comments under the tort of slander of title. The damages would be assessed based on the depreciation of the house value. 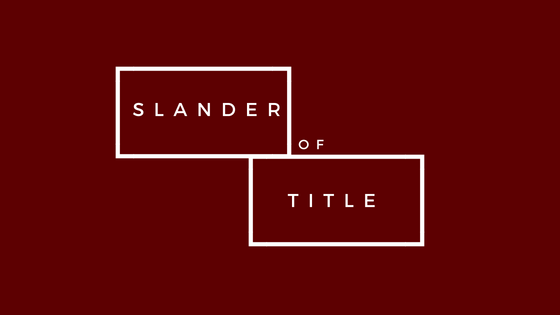 If a person files a deed that he owns a certain property that he really does not own, then the real property owner can sue the person filing a false deed for the tort of slander of title. 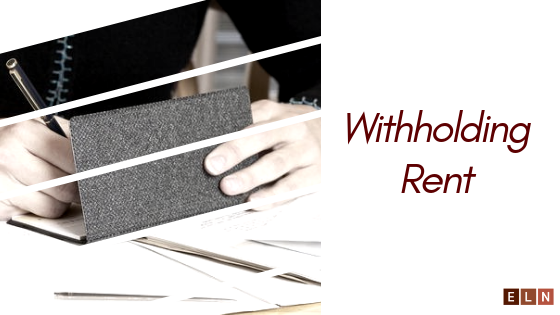 The deed filing would be removed though damages may only be nominal. Suppose a homeowner hires a contractor to perform home remodeling on the homeowner’s house. They sign a contract that states that the contractor must provide service that is equal or better than the industry and local standard for such type of work. The contractor does sub-standard work. Due to the poor remodeling job, the homeowner refuses to pay the contractor. Upset about doing work without pay, the contractor obtains a mechanic’s lien against the homeowner’s property for non-payment of services. The homeowner, to counter the mechanic’s lien, can sue the contractor for slander of title for improperly placing a mechanic’s lien against the house when the contractor did not live up to his side of the bargain. If successful, the mechanic’s lien would be removed.